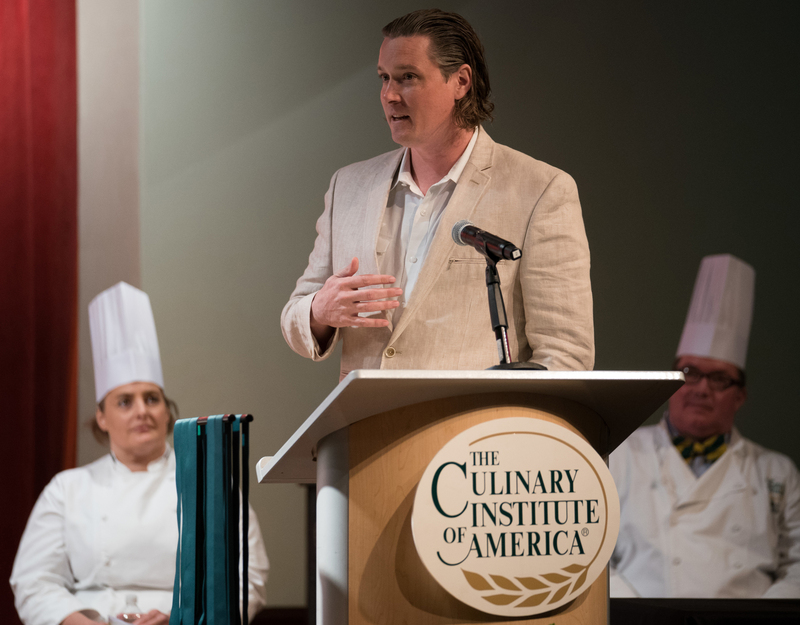 San Antonio, TX – Jason Dady, chef and co-owner of several San Antonio restaurants, a food truck, and a catering company, delivered the commencement address at the San Antonio campus of The Culinary Institute of America on September 8. Chef Dady’s diverse culinary concepts include Tre Trattoria, Tre Enoteca, Two Bros. BBQ Market, B&D Ice House, DUK Truck, Shuck Shack, The Bin, and Range. He also owns Jason Dady Catering. All are family-run, with his wife serving as chief financial officer and his brother as chief operating officer. Earlier in his career, Dady was named a Rising Star Chef by Restaurant Hospitality and included in San Antonio Business Journal’s 40 Under 40 list. He was also honored as the StarChefs Restaurateur of Texas in 2012, San Antonio Current Best Local Chef in 2013, and CultureMap Chef of the Year in 2016. CIA students can complete their required internship at three of Chef Dady’s restaurants: Tre Trattoria, Tre Enoteca, or The Bin. The CIA San Antonio offers degrees in both Culinary Arts and Baking & Pastry Arts. Graduates can then transfer to the college’s New York campus to complete bachelor’s degrees in Food Business Management, Culinary Science, or Applied Food Studies.